I and two of our Exec Team, have just completed an amazing full-on week at the IBM THINK Conference in Las Vegas. 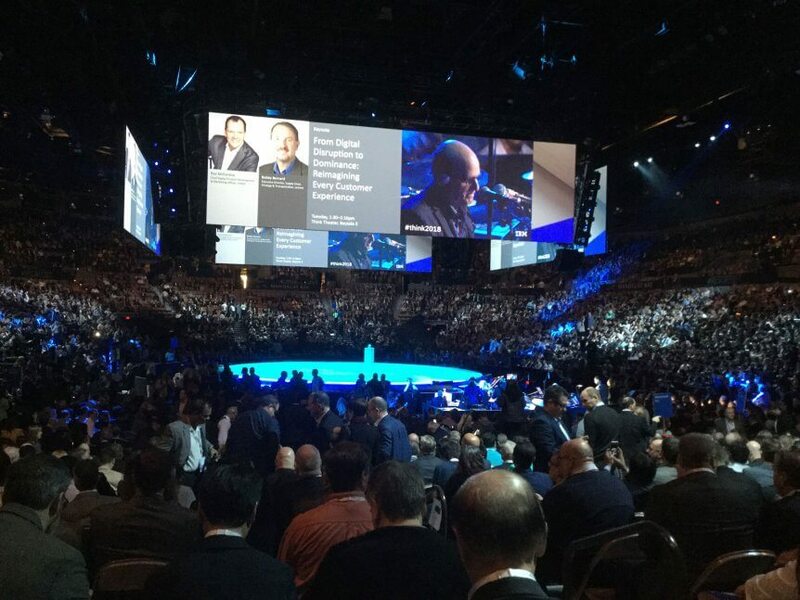 We have been to offshore conferences before, however this was mind blowing in terms of the size, how well organised it was and the incredible vibe and value IBM created for the huge number of participants from around the world including IBM Business Partners. Ginny Rometty (IBM CEO & Chair) did an impressive and inspirational key note speech – talking animatedly and very specifically about the major changes, and the ways in which IBM is focused on leading global change, augmentation of knowledge and enhancement across sectors, through the new era technologies. IBM have invested over 5Billion USD in the past 5 years on these: – AI / Cloud / Analytics / Security. The major sectors and the range of Use Cases is impressive. I have never had any doubt that this is the future (hence transforming my business around AI over the past 2+ years) and that there is enormous positive change, differentiation and outcomes ahead by those of us who have been early adopters. Beyond this, the mass take-up will enter a world where the possibilities and advantages are limitless. However the flip side is that for those who prevaricate, their businesses will find themselves well behind the 8 ball with a lot of ‘catch-up’ to do. The key strategy of partnering – both for IBM and with Business Partners, was a consistent theme of the conference. IBM have just for example announced a major new Partnership with Apple. We are an IBM Silver Business Partner and we value the advantages this gives our clients and us, in the marketplace. Ginny Rometty also talked about the goal of (all) data (structured and unstructured) turning into knowledge and then into VALUE. As I have expounding for some time, 80% of the world’s current data is unstructured and NOW being able to access and understand this for better decision making, through Cognitive AI will I believe, have the biggest impact of any change during my long business career.